Rates of planned home birth in the US have remained low for several decades, but recently an increasing number of women have been recorded as having planned home births. Women today want and expect choices for childbirth without compromising quality of care. Nonetheless, choice of birth site – home, hospital, or birth center – is not an option for many expectant mothers in the United States. Safety of birth in any setting is of utmost priority. Maternity care providers and researchers in the US disagree about appropriate settings for birth. Ultimately, women and families are ill-served by inter-professional conflict. 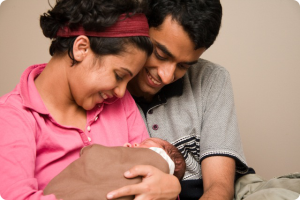 The current debate on home birth in the US indicates the need for constructive discussion and consensus-building. Successful collaboration between health professionals has resulted in improved experience and outcomes for women and families.